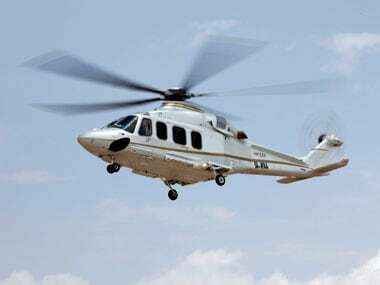 The Enforcement Directorate is expected to reply to alleged middleman Christian Michel denied naming Ahmed Patel and the Gandhi family in the AgustaWestland VVIP chopper scam. 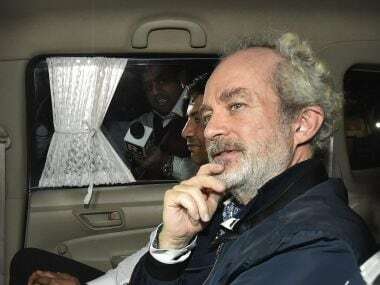 Michel told a Delhi court on Friday that he has not named anybody in connection with the deal during an investigation by the Enforcement Directorate, which has filed a supplementary chargesheet. Michel's counsel appeared with the application before special judge Arvind Kumar who issued notice to the probe agency and sought its reply by Saturday when he will take up the matter. "Michel has not named anyone in his statement before the agency which is being leaked to media. This is only to make the matter sensational and prejudice the case against my client," his counsel, Aljo K Joseph said. 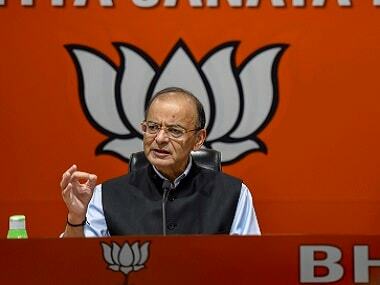 The ruling BJP and Opposition parties are keeping up their campaign trails across the country as the Lok Sabha election draws nearer. Prime Minister Narendra Modi will address rallies in Odisha's Sundergarh and Sonepur, Nanded in Maharashtra and Balod in Chhattisgarh. Uttar Pradesh chief minister Yogi Adityanath will also address rallies in Odisha's Phulbani and Berhampur districts. Congress president Rahul Gandhi will campaign in Jammu and Kashmir's Srinagar and address a public meeting in Almora and Haridwar in Uttarakhand. Congress general secretary Priyanka Gandhi will also be on the campaign trail with a roadshow in Fatehpur in Uttar Pradesh. BJP president Amit Shah will address a rally in Gandhinagar, the constituency he is fighting the General Elections from. West Bengal chief minister Mamata Banerjee to address public meetings in Barobisha and Kalchini in Alipurdar, while BSP chief Mayawati will be speaking to the public in Haridwar and Nainital. With the BJP appearing to be in a dilemma over fielding her, outgoing Lok Sabha speaker and eight-time MP from Indore, Sumitra Mahajan on Friday opted out of contesting the general elections saying she has freed the party to make its choice. Informing reporters in Indore that she has written to BJP chief Amit Shah about her decision of not contesting the polls, she said, "I have made the party worry-free." Mahajan, who turns 76 next Friday, said there had been speculations whether the party would field someone who has crossed the 75-year age bar. "There were speculations and so I decided to end them and free the party to make its choice. I will not contest the Lok Sabha elections," she told PTI. Mahajan, popularly known as 'Tai' (elder sister in Marathi) however, maintained that she would continue to work for the party and campaign for it. The Competition Commission on Friday said it has approved diversified group Larsen & Toubro's proposed acquisition of up to 66.15 percent stake in IT firm Mindtree Ltd. L&T has made an unsolicited offer to acquire majority stake in Mindtree and a committee of the IT firm's independent directors is looking into it. In a tweet, the Competition Commission of India (CCI) said, "it approves acquisition of up to 66.15 percent of the total equity shareholding of Mindtree Ltd, on a fully diluted basis, by Larsen and Toubro Ltd". Deals beyond a certain threshold require clearance from the fair trade regulator. Jonny Bairstow will be keen to continue his run-riot and keep the Sunrisers Hyderabad (SRH) juggernaut rolling against a Mumbai Indians (MI) side that is getting into the groove after an up-and-down start, in their IPL match on Saturday. Currently holding the top spot in the points table with three back-to-back victories, the confident Sunrisers would not like to spare an inch against Mumbai, lying at sixth place. In Chennai, it will be a battle of leadership styles of Mahendra Singh Dhoni and Ravichandran Ashwin when Chennai Super Kings (CSK) clash with Kings XI Punjab (KXIP). Dhoni's ability to stay calm and keep his cool even in the trickiest of situations versus Ashwin's aggressive approach and out-of-the-box decisions would certainly make for an interesting contest. After just making an AI-ethics team a week back, Google has decided to pull the plug on the project amidst massive public outcry, reports Vox. Founded to guide “responsible development of AI” at Google, the AI-ethics team consisted of eight members and met four times to judge concerns regarding Google's AI program. Some of those concerns include work on military applications of AI.